"Your Party, Your Way, Your DJ"
Over 10 years experience playing major venues, including 5 star hotels and military functions. The music played is always tailor made to your requirements, & each mobile gig comes with a complete professional grade laser light show. Available for all variety of events: engagements, weddings, birthdays, anniversaries, office parties, seasonal functions. Required by many venues, James Norton DJ has a current PLI policy with National Association of Disc Jockeys in the amount of £10 million. Also required by many venues, James Norton DJ has supplied satisfactory evidence of holding current PAT inspections of their equipment dated within the last 12 months. A Method Statement outlining James Norton DJ&apos;s Health & Safety procedure for setting up disco equipment has been provided. 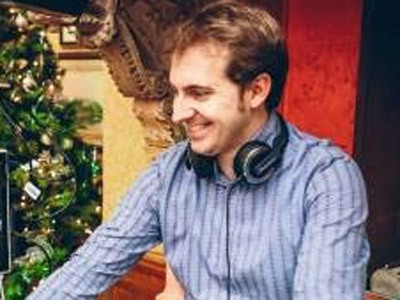 James Norton DJ has provided Risk Assessments undertaken at events sourced via needadisco.com, indicating that they can undertake these competently. Why do people choose to book James Norton DJ? Brief and to the point email. Good NAD reviews and within budget of my client. Seemed very professional and promptly communicable. "So happy with James he was amazing and really easy to deal with. He played all our song and we feel that he was great value for money we definitely hire him again. Thanks James your a star. " "Thank you for your kind words! It was a pleasure to play for you guys :-) "
"James was great, we met before the event to discuss what we want. He was lovely and easy going; We would definitely use him again." "It was great to perform for you guys. So glad you enjoyed the night!" "The whole experience with James was faultless. From booking, to the initial meeting where James came to see us, and then the contact leading upto the event all meant that our music choices were met and minds were at rest. The evening itself could not have gone better, the dancefloor was packed. Would 100% recommend James and will definitely be using him again." "Thank you for your kind words, it was a great night playing for you guys! Glad you had as much fun as I did!!" "Music was great taking into consideration some of the song choices we requested. Everyone was on the dancefloor most of the night. Thank you "
"It was a pleasure to play for you and your guests. Glad you enjoyed yourselves. I had a great time too!" "James came to our house to discuss our requirements and we knew straight away he was on the same wavelength as ourselves. We provided him with several lists of music that we thought would be right for our celebration and he agreed they would be good. We and our guests thoroughly enjoyed the music during the evening, as it suited all ages and encouraged lots of dancing. James was a perfect complement to a perfect evening." "It's all part of the service! I had a wonderful time playing for you guys. Such a great night, glad to be a part of it!" "James visited us at our home prior to booking him to discuss our requirements, we discussed music we wanted for our Wedding Reception, on booking him we received a contract and terms and conditions which we thought was good, he arrived on time and set up with little fuss, music choices were good, we would definately book him again"
"It was a pleasure to play for you and your guests, I'm glad you had a nice evening!" "We spoke to James before our event and he left us reassured with the music he was going to play for our wedding, we did not have a set playlist for him to use as we told him to have a feel of the night and see how it was going.... To say the least he knew what music to play as he had everyone up on the dance floor all night till close! Would recommend! Very polite and friendly!" "Thanks guys, it was a pleasure to play for such a lovely couple and their guests! :-)"
"A pleasant DJ who cared about his audience. Great night had by all"
"I had a lot of fun playing for this surprise party, and a great hostess from the first email to the end of the night! Thanks! 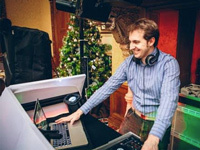 :-)"
Get FREE no-obligation disco quotes from James Norton DJ and other DJs covering your venue. Take 2 minutes to fill in some basic details and we'll do the rest! If you are contacting James Norton DJ about an event, it's always a good idea to include the DATE, LOCATION, EVENT TYPE, AGE GROUP and TIMINGS to speed things up!